You're hanging out at Essen 2013! What's the best game you've played? Yes, there's the Buzz list by BGG. 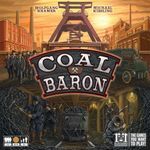 Now there's ANOTHER Geeklist for Essen Spiel. What's the best game you've played/ picked up/ demoed? Why? Like the games if you agree. A lot of these recommendations may be added to my next game purchase for our local community center/ library. Got to demo Hanabi. Unfortunately, Cheaty Mages by AEG was caught in customs on the one day I could make Spiel this year. But had a blast learning Hanabi and have a copy coming from the states. Before playing i didn't have high expectations about this game, but since it was a Vlaada Chvatil production i gave it a shot anyway and ended up loving it! I played it several times at the fair and bought it eventually. Reminds me of keeping an open mind with boardgames that doesn't right away excites me!